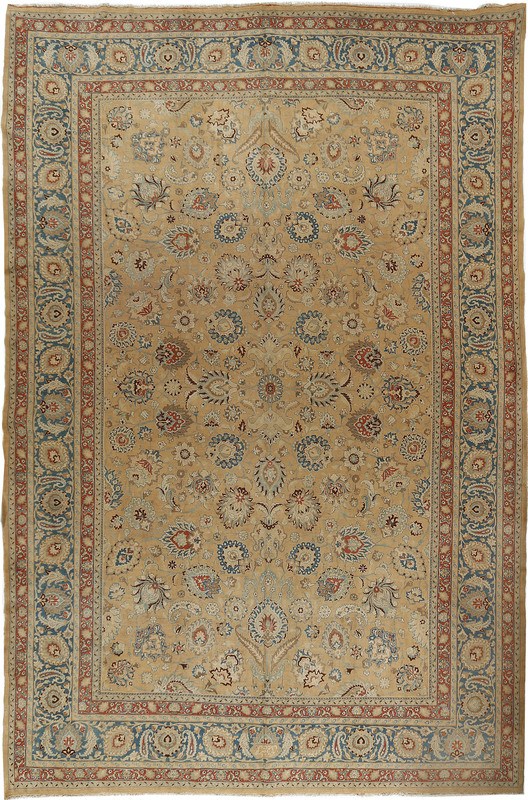 The allover pattern of this antique Meshad carpet from northeast Persia is a wonderful array of unusually detailed and original palmettes connected by light blue scrolling vines. 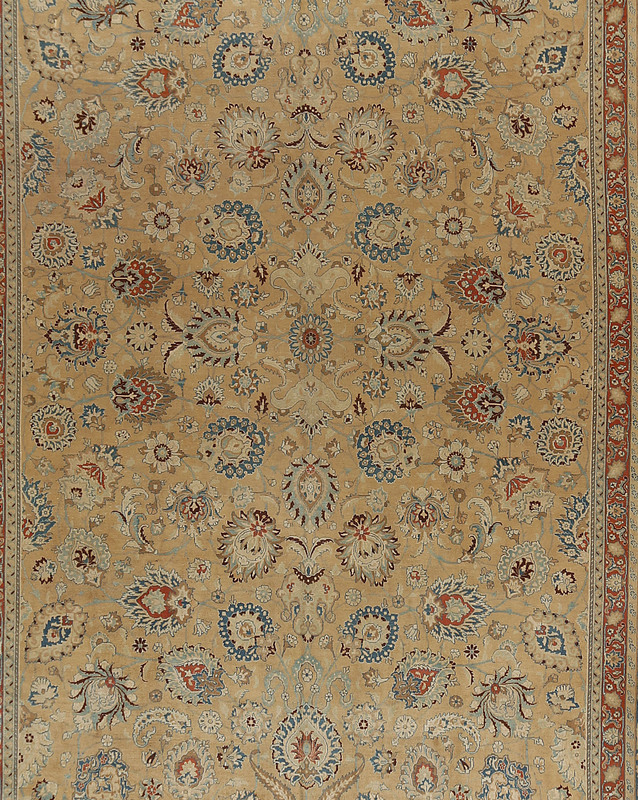 There are so many different types of side viewed, sectioned palmettes that they serve as virtually a survey of traditional Persian rug design motives. To describe each one would take an essay at least. Some are classic, going back to the sixteenth century, while others are later design innovations. They float, move and swirl on the old gold ground. Curved lancet leaves add to the sense of fantasy. The royal blue border is more disciplined with botehs and curved leaves bracketing in-and-out and diagonal palmettes. The extremely well-drawn pattern flows under the border giving the effect of a frame superimposed on a continuous flow of fanciful floral elements. The origin of the palmette lies back in Chinese art with the lotus and the peony, but these elements are totally beyond their sources. The texture of this carpet is firm and compact, although it is not fine just for the sake of fineness as is the case with many more recent rugs. 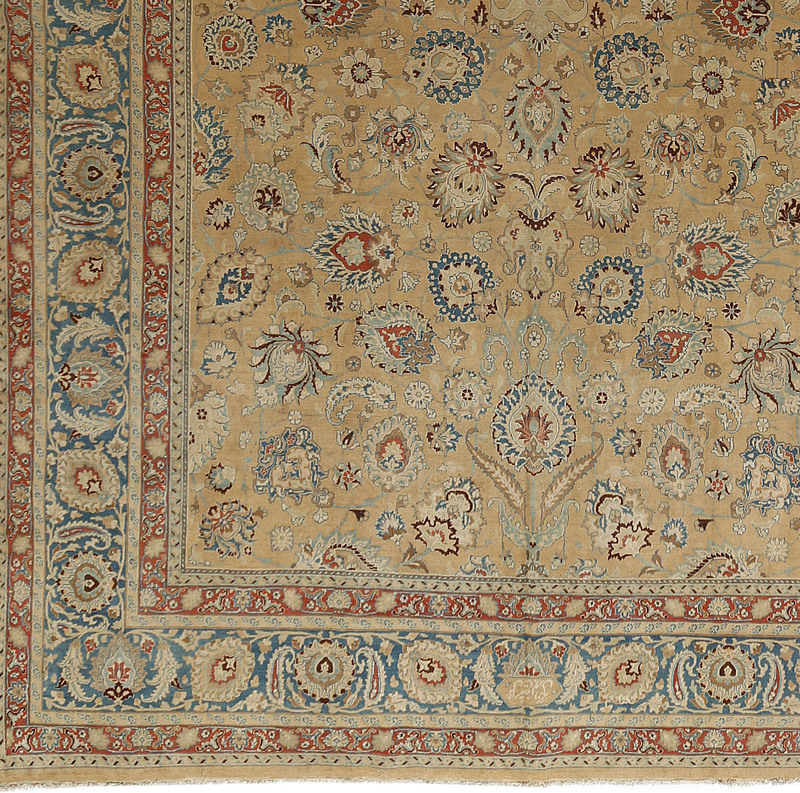 The color palette is classic for Persian art, with the blue border playing off against the rich gold of the field.